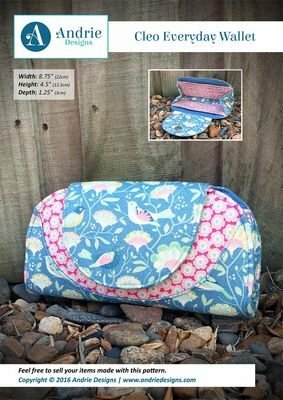 An easy to follow sewing pattern creates a beautifully curvy wallet, closed with a flap and magnetic snap! It features 12 card slots, 2 notes pockets, a large center compartment, perfect for even the largest of cell phones and a zippered coin pocket. Click for class sign-up form.